It's the most wonderful time of the year - Digital Trends just released there 2013 Holiday Gift Guide. "Our editors have combed the wide world of technology, hardware, and gadgetry to identify the very best gift ideas of this holiday season." With categories ranging from tablets to home theater, Digital Trends picked out the very best of 2013. "Sure, tech gifts are arguably the best kind, but if you don’t eat, sleep, live and breathe consumer electronics for a living (like we do), picking the best of the bunch is downright impossible. That’s why each year we take a look back and recall all the very best stuff in several categories, then compile it into one sanity-saving list. This one covers everything home theater and then some." And speaking of the Digital Trends Home Theater Gift Guide, we were delighted to learn that our very own Soundtrack System earned one of the spots in this category. 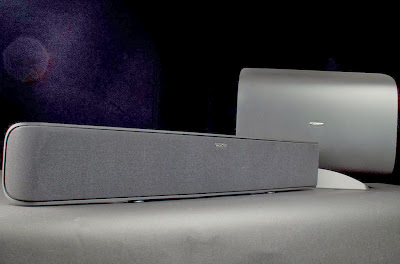 "If we were stranded on a desert island and could only pick one sound bar system, this would be it." "If the low-profile allure of a slim sound bar is on order, then you might as well get one that sounds dangerously close to a full-sized hi-fi system. The Paradigm Sountrack sound bar with wireless subwoofer is that system. It will blow you away with its deep, rich sound, intelligible dialog reproduction and tight, visceral bass. The wireless subwoofer is slim enough to place anywhere, and the sound bar’s easy connection to an Apple Airport Express brings wireless functionality to the party. If we were to get stranded on a desert island and could only pick one sound bar system, this would be it." Click here! to see the Digital Trends Holiday Gift Guide. Click here! to read the Soundtrack System review. Click here! for more info. or to buy now.